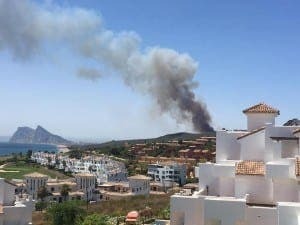 FIREFIGHTERS continue to battle the blaze in La Linea which left hundreds fleeing their homes on the Costa del Sol after the wind suddenly changed direction, last night (June 12). 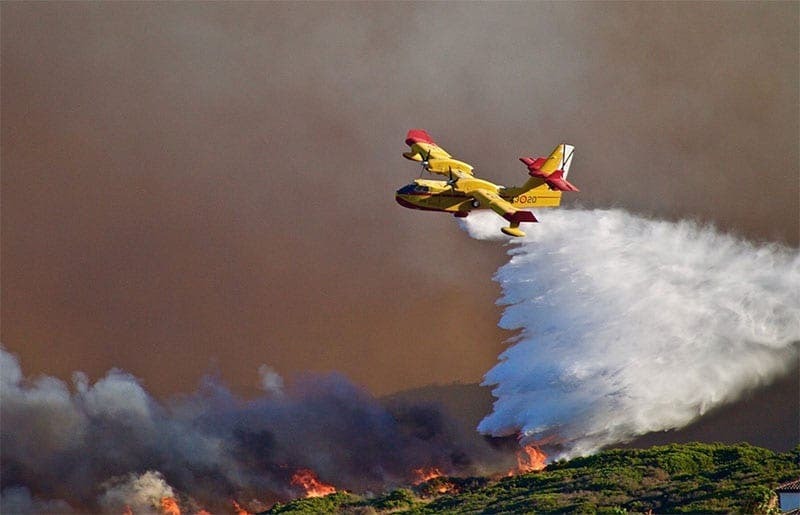 The fire, which started near La Linea, was seemingly under control yesterday evening after dozens of firemen and two planes doused it for hours. But at around 9pm the wind suddenly switched 180 degrees leading to the blaze to threaten the upmarket Alcaidesa urbanisation. 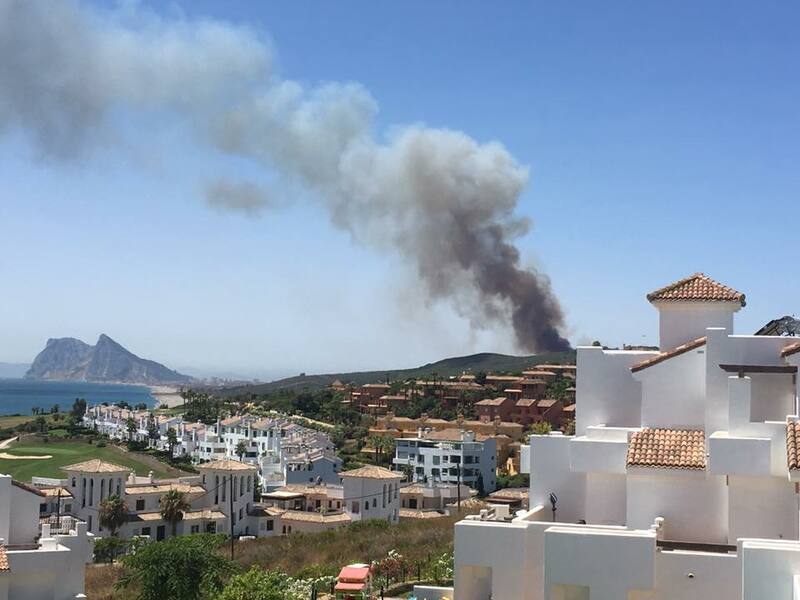 Reaching a ‘level one’ alert, the fire started to ‘rage out of control’ according to am Olive Press reader. 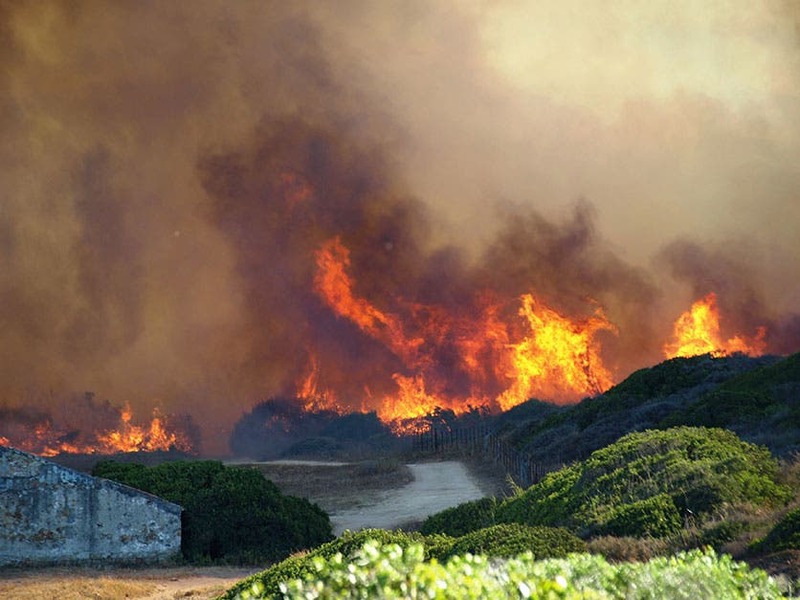 And it continues to burn hundreds of hectares of prime coastal land. ‘My son and his girlfriend have had to flee the flames which were getting very close to their house,’ said expat Barbara Mckay. A hotel, Hotel Aldiana last night moved 425 guests, mostly German and British, to a sports centre in La Linea where they spent the night. 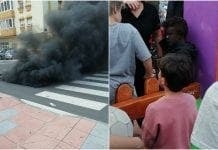 Meanwhile, 180 people were evacuated from albergue Cortijo La Alcaidesa and taken to another sports centre in San Roque. Dozens of homeowners followed suit. It has now been confirmed that the fire begun at 10am. 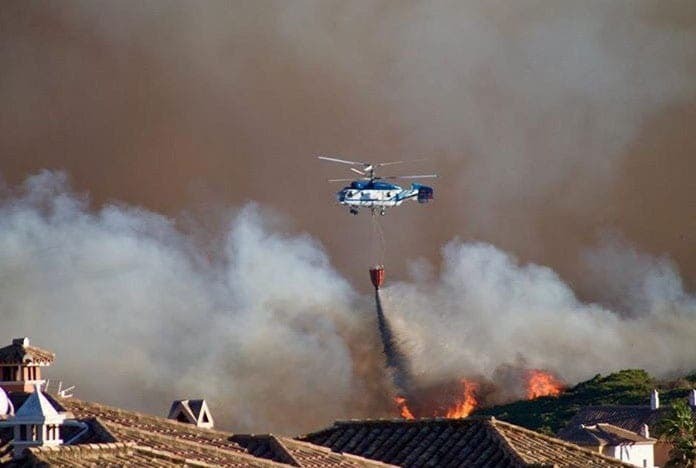 Started near to the Lomo del Rey apartment complex in Alcaidesa, helicopters and planes dropped water on the flames while some 79 fire-fighters were at the scene. 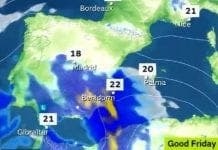 Temperatures on the Costa del Sol hit 40 degrees centigrade yesterday and a prolonged heatwave is expected. 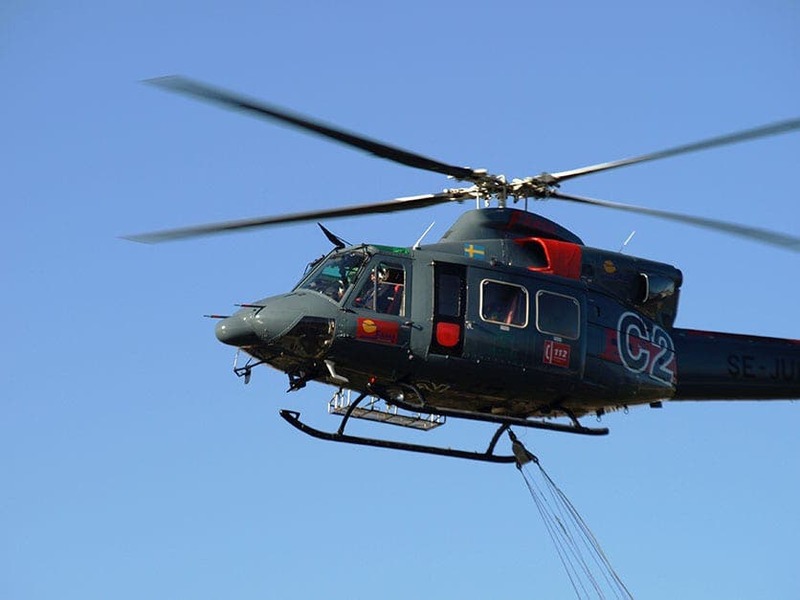 In total three aircraft, 60 fire fighter crews and a unit from the Guardia Civil’s Seprona agency are tackling the blaze. 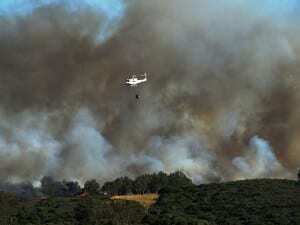 Big thanks to all those involved with fighting the fires and keeping everybody safe. just out of interest Abraham levy where do you get this figure of 35 years from? My sister and brother-in-law have lost their lovely home in this tragic but deliberate arson attack. Thank God they are both ok, but got out just in time. No passports, no clothing except what they had on, they just had to leave and were being chased out of their drive by flames round their car.